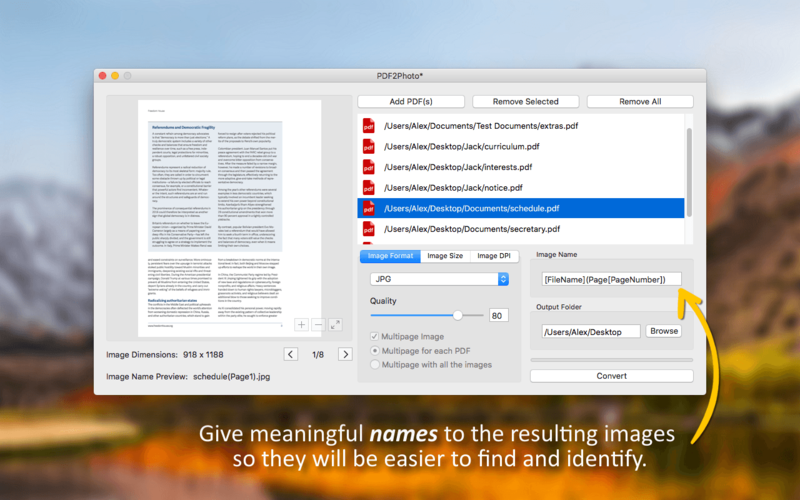 PDF2Photo is the perfect solution for converting PDF documents to images in batch mode. Just select the PDF files that you want to convert, the desired image format and the output folder where the resulting images will be saved. 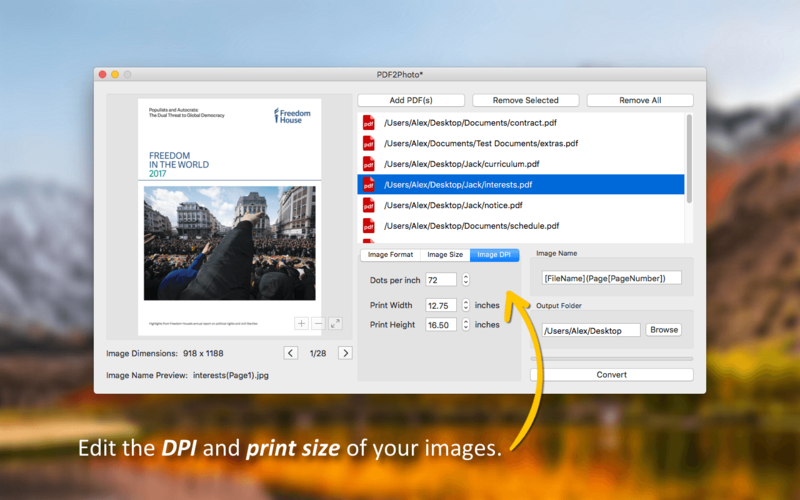 All your PDF documents will be converted to images in a matter of seconds. 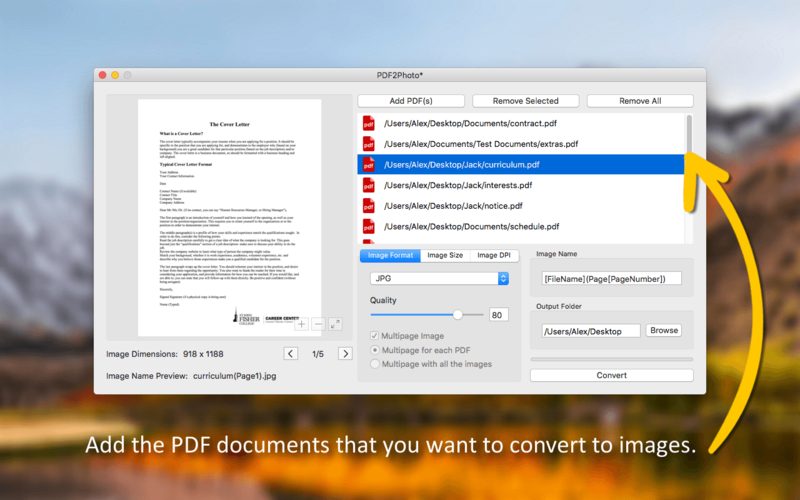 So purchase PDF2Photo today and greatly increase your productivity when it comes to converting PDF documents to images. 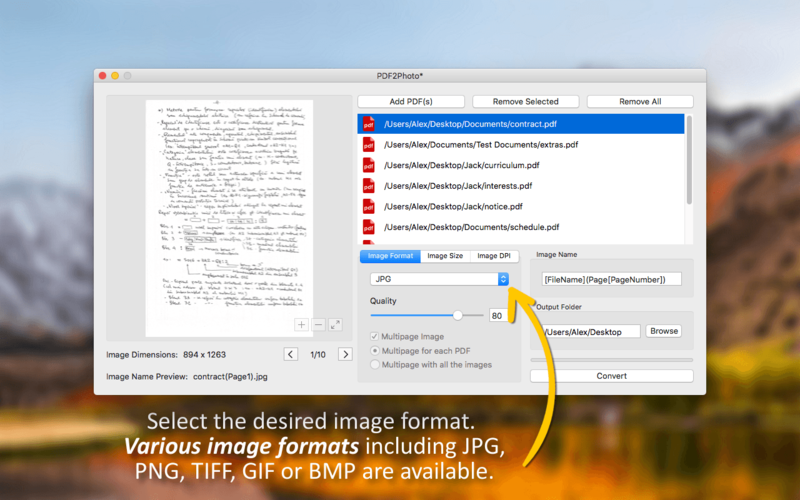 This app offers a quick way of converting PDF documents to JPGs. Great value for money. Really loved this app from the start. It has an intuitive interface and it's very easy to use. Great app for converting PDFs to images. It saved me a lot of time. Thumbs up!